Formed in 2007 by three friends, Endeavour Vintage Beer Company brought their first commercially brewed beers to the market in 2010. Since then the Endeavour team have been looking for premises that could not only permanently house their brewery but also contained enough room for a pub and restaurant. 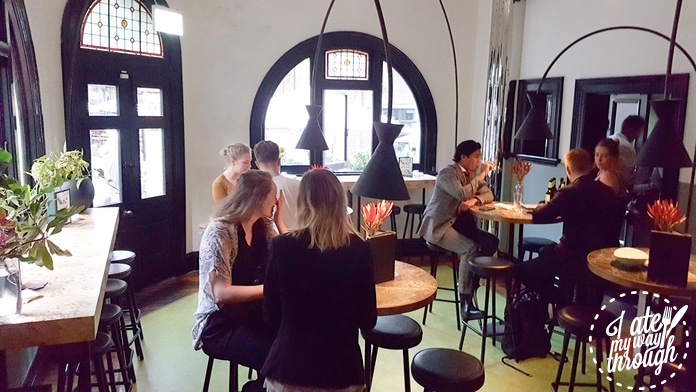 Teaming up with hospitality group Applejack – known for Sydney haunts including Della Hyde, the Botanist and SoCal – Endeavour took over the old Wine Odyssey building in The Rocks and Endeavour Tap Rooms was born. As you would expect the drink selection is built around their extensive range of beers which include a fruity Pale Ale, a beautifully-strong-in-hoppy-favour Amber Ale, a superbly refreshing lager and many more besides, rotating throughout the year. Endeavour was created with the aim of using only the finest malt, hops, yeast and water from regions that experience the best vintage conditions; this commitment shines through with the quality of their products. Fear not if you aren’t a beer fan though – you are well catered for with a wine list featuring a fine selection of Australian producers as well as a tempting collection of cocktails. 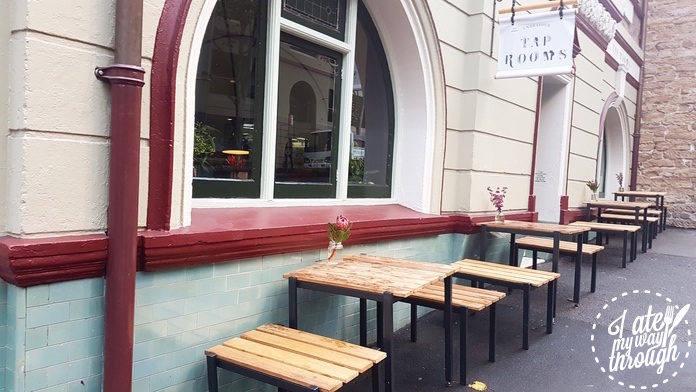 Endeavour Tap Rooms have taken similar care in the choice of menu as they do with their brewing. Again there is a focus on high quality, local-sourced produces. The aforementioned smoker is put to good use throughout the menu with the Ranger’s Valley Beef Brisket ($24) and the Mirrool Creek Lamb Ribs ($22) particular triumphs. 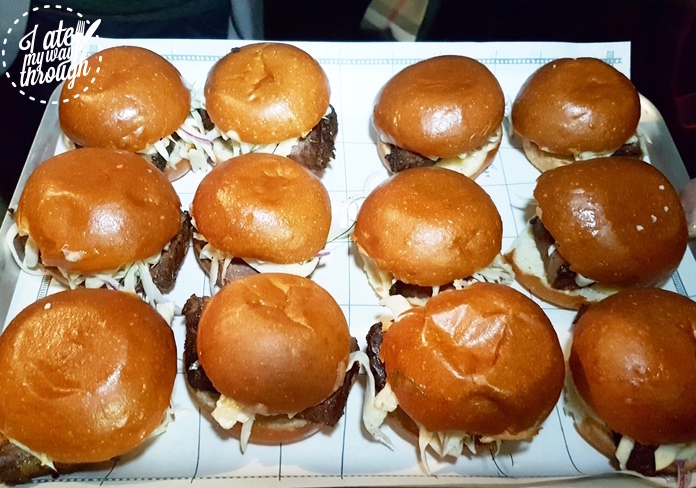 The smoky flavours were well infused into the meat but, unlike their American equivalents, not drowned out in a sea of sickly sweet sauce. 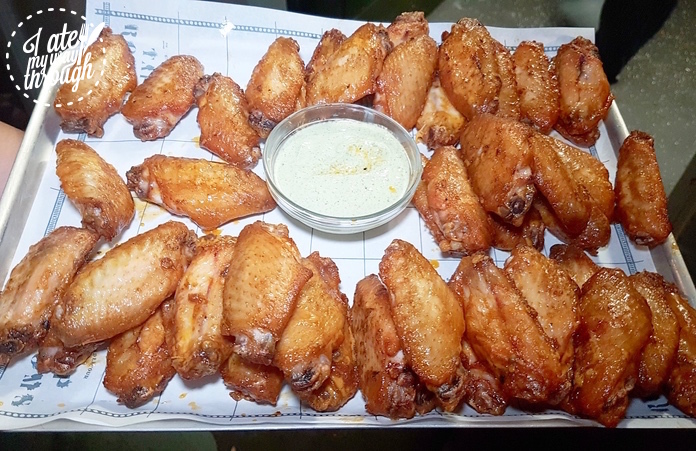 Beer and chicken wings are a winning combination anytime, especially the light floral hop flavour from pale ale contrasting the tangy and crispy Chicken Wings ($16). On the seafood front, Pacific Oysters ($4/piece) came dressed in parsley oil and eschallot. 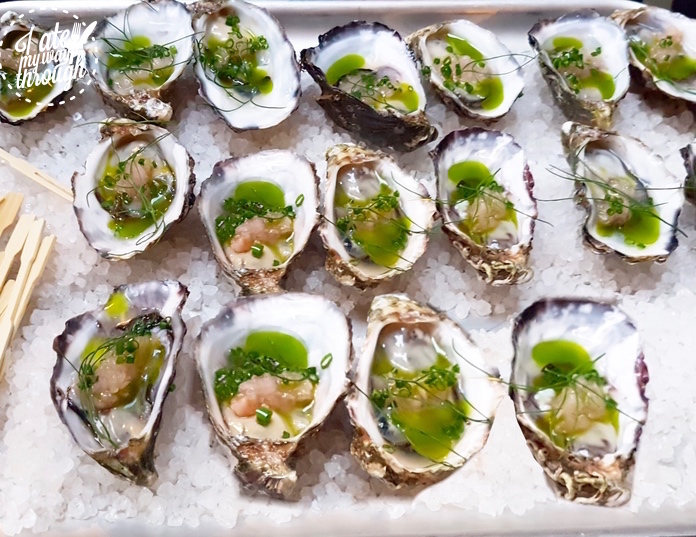 A squirt of lemon juice was replaced by verjuice, a highly acidic juice made from unfermented grapes, but equally cut through the creaminess of the oysters. Hiramasa Kingfish ($16) sashimi was mixed with corn and guacamole and served on a thin crispy toast, the only question is which beer to pair with it? The Rocks is one of Sydney’s most historic suburbs and the renovation of the heritage-listed venue is part of NSW government’s initiative to revitalise the district’s retail precinct. 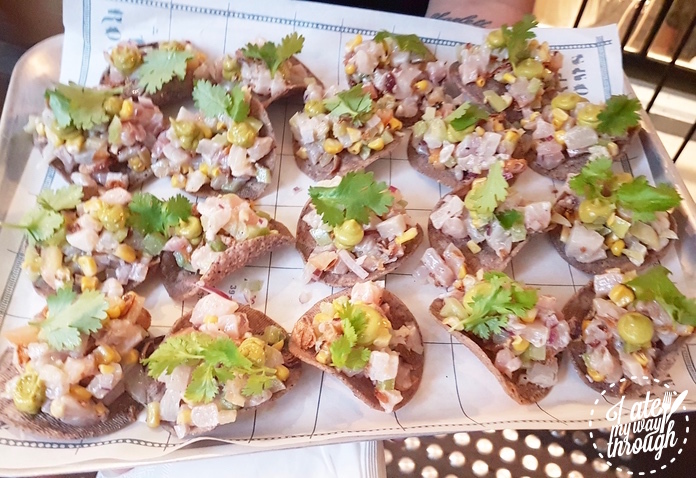 It’s great to see the addition of a new venue that not only respects and embraces that history but also provides top-notch food and in-house brewed beer. 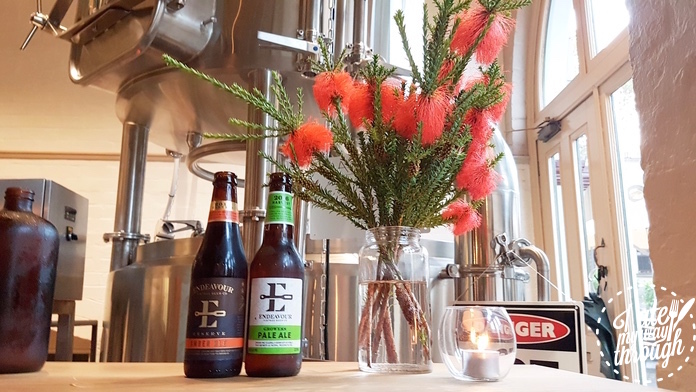 Endeavour have already proved they know their stuff when it comes to brewing and with the launch of the Tap Rooms, it’s clear they are onto another winner.